Press release from Tenerife tourist board – Featuring a new set of proposals designed to maintain the island’s status as a leading holiday destination. Tenerife has a well defined tourism strategy to be applied over the next eight years. Featuring an ample range of directives and actions, it aims to reactivate tourism on the island and combat the complex situation the holiday sector is currently facing as evidenced in last year’s figures. The new proposals focus on renovation in all aspects (resort areas, services on offer, means used for promotion and marketing and even management). The Strategy was announced in public on 16th April at Tenerife’s Auditorium by the island’s councillor for Tourism and first junior chairman of the Tenerife Cabildo, José Manuel Bermúdez. 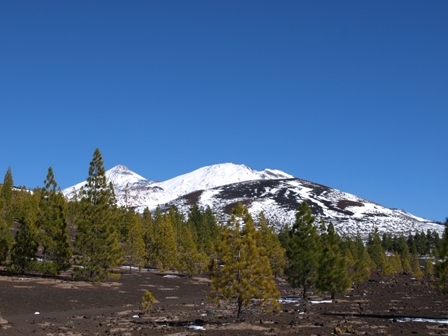 Tenerife’s Tourism Strategy 2008-15, devised by the Cabildo through Turismo de Tenerife and with a significant level of participation by the sector, features 12 essential objectives. Of primary importance is the regeneration of resort areas with a view to guaranteeing their competitive edge, quality and sustainability. Secondly, there is a directive which focuses on specialisation, diversification and enriching the available services and holiday products, which is linked closely to the development of new products and upgrading existing ones. The third main objective is to reach a balance between the investment made into attracting consolidated markets and the diversification of activities aimed at new outbound markets. The fourth goal refers specifically to highlighting differentiation and efficiency in promotions. 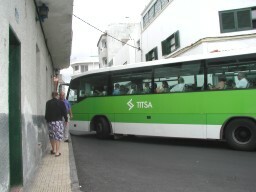 Other important aims outlined in the strategy include improving market accessibility to the Tenerife holiday product, boosting online promotion and marketing plus better management of the relationship between the client and the destination resulting in higher levels of satisfaction and, therefore, customer loyalty. Tenerife’s remaining strategic objectives are to encourage levels of knowledge, information and research into the holiday industry, innovation at all levels of management and promotion and a renewed bid for cooperation and coordination. Finally Turismo de Tenerife has incorporated into its objectives the goal of strengthening social implication and links with the tourism sector and its activities as well as raising professional standards, qualification and training in the industry as a whole. In order to draw up the strategy designed by Turismo de Tenerife for the Cabildo, all the internal and external statistical information has been taken into account as well as any available studies. A working method was applied to this information involving an unprecedented level of social participation which incorporated trends deriving from a complex consultation process to include virtually the entire holiday industry plus a large group of professionals from a wide range of fields.